This compact moth flies like the Hummingbird Hawkmoth, hovering to feed at flowers. 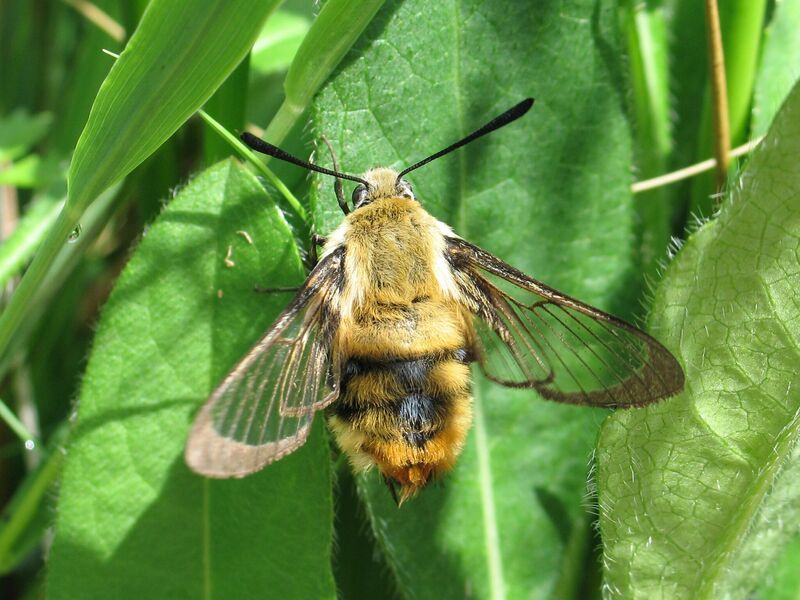 Its transparent wings are edged in very dark grey (the Broad-Bordered Bee Hawk-moth has red edges to the wings). Devil’s-bit Scabious, occasionally other scabious species.